A “clatch” is another word for “brood”, which is a not inappropriate word in the present circumstances – considering that Canada’s highest court will hear five (yes, five!) cases on December 6 and 7, 2011 that all emanate from Canada’s Copyright Board. These cases are on appeal from the Federal Court of Appeal, arising in turn from “judicial review” of five recent decisions from the Copyright Board. Judicial review, in this context, is essentially the same thing as an “appeal”. Here (in blue/grey) are the interveners’ factums (briefs) in the Supreme Court of Canada fair dealing cases, which will be heard with three other cases arising from the Copyright Board on December 6 and 7, 2011. These intervener factums are not available on the SCC website. The parties’ factums are available at the Court’s site via the green hyperlinks below. In Canada, the accepted convention is that judges speak on matters of public policy only through their judgments and only to the extent necessary to render the necessary decision. They rarely speak or write “out of court” in a public forum, and when they do so, it is invariably in a measured manner and usually on issues such as the administration of justice that are of concern primarily to law students, the legal profession or to other judges. By contrast, English, and particularly American, judges are in some cases much more outspoken outside of the courtroom on a wide range of issues. That said, judges in Canada are amongst the most well-informed and articulate participants in our system of governance. Would Canadian society as a whole, taking into account the justice system, benefit from more outspoken “out of court” discourse by the judiciary? Does the retirement of a judge make a difference in this discussion? Couchiching Ottawa is honoured to launch its first informal evening for 2011–12 with the Honourable John D. Richard, who recently retired as Chief Justice of the Federal Court of Appeal. Justice Richard presided over this Court and its predecessor for the decade between 1999 and 2009. This was a momentous period in Canadian legal and political history and the establishment of the Federal Court of Appeal itself as a keystone institution in Canadian public law. Prior to his appointment to the bench in 1994, he had a long and very successful career as a lawyer, appearing in many and varied cases of great importance. In the Couchiching tradition, our guests and participants are invited to speak openly and frankly, and to engage in non-partisan, provocative and free debate. Accordingly, this evening will be conducted off the record under the Chatham House Rule. Attendance is limited and we welcome your participation. The Couchiching Institute is grateful to Earnscliffe Strategy Group and Gowlings for their sponsorship of the Ottawa Round Tables. $35 + HST, $20 + HST for students. Wine and hors d’œuvres will be served. Space is limited, so book now! Prepayment required. If you're not on our mailing list already, get on it! Call us at 416-642-6374 , 866-647-6374 , or email couch@couch.ca. We promise never to give your address out to anyone nor will we send you mailings unrelated to the Couchiching Institute on Public Affairs. 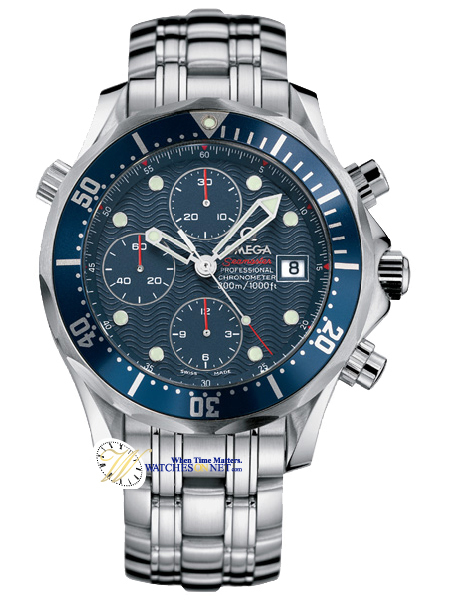 Costco has won a victory notable battle in its long war with Omega over the parallel importation of Omega watches, which Costco sold at about a 40% discount. A U.S. district court judge has ruled that Omega's use of a copyrighted stamped design on the back of the watch - one purpose of which Omega conceded was to control importation - constituted copyright misuse. Canadian IP, trade and competition lawyers will recall that the Supreme Court of Canada opened the door to a similar conclusion someday in the Kraft v. Euro Excellence case, in which I acted for the Retail Council of Canada. Look at the reasons from Justice Bastarache and Justice Fish on misuse and trade control respectively. There 's a really big battle brewing in Washington over the SOPA bill, which is aimed at stopping rogue websites, including and even targeting foreign "rogue" websites "dedicated" to piracy. This sounds good, but a lot of very respectable critics and tech corporations say it threatens the very basis of the internet and the rule of law. Yahoo has left the US Chamber of Commerce over this issue, and Google and Consumer Electronics Association are thinking about doing so too. So, it's essentially American internet tech innovators v. the American legacy content industry. This could be one of the biggest copyright policy confrontations ever. So, it's somewhat unusual that the recently appointed U.S. Register of Copyright, Maria Pallante, would take sides so clearly and so soon on something so controversial. This may signal something of a departure from the traditions of the office she holds, where previous Registers in recent times have exemplified balance and provided expertise to Congress when required. Here's the speech she will give tomorrow and an advance article about it.